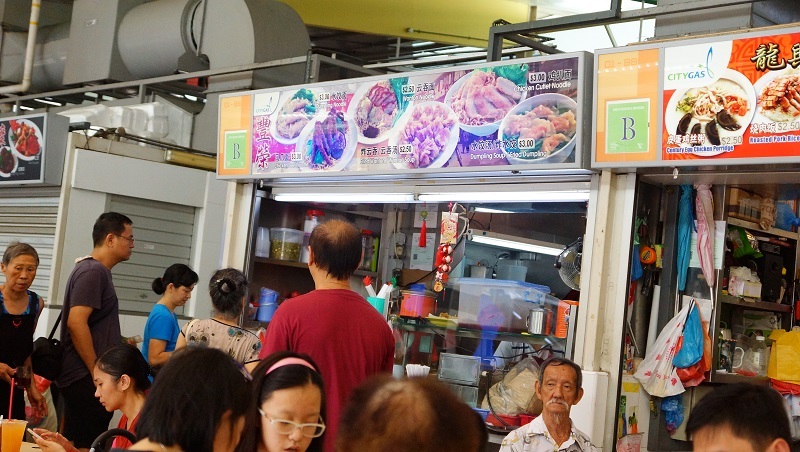 There are many noodles stalls in this food centre and Feng Rong Wanton Noodles stands out among all of them for it cheap and good noodles. 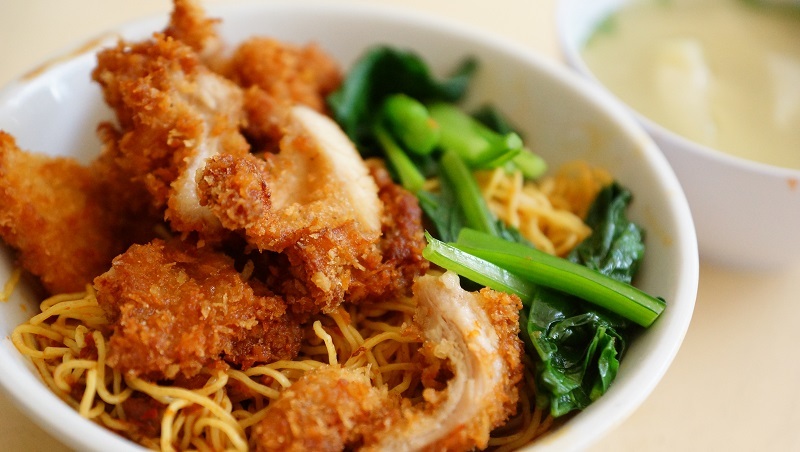 How often you can find a $2.50 price tag for a bowl of wanton mee in Singapore? The serving size was not compromised and in fact you will receive more than can be expected for its price. Cheap, a huge serving size, and an enthralling taste makes it a highly recommended place for a visit. 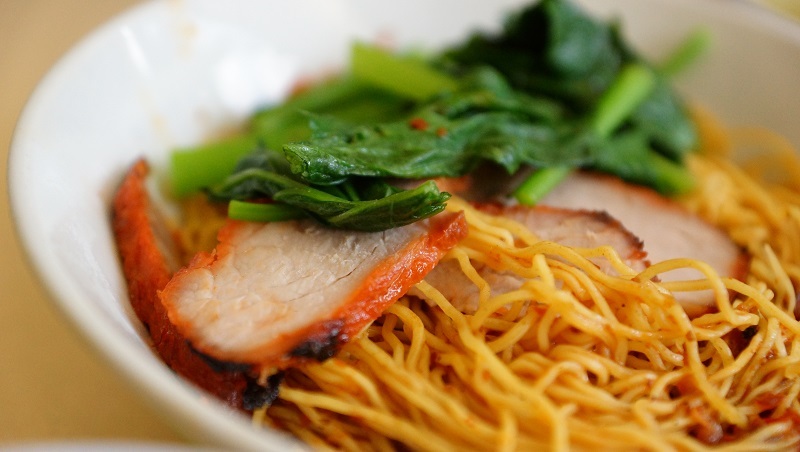 We asked for extra chili to add more zest to the noodles, the mee kia was cooked to the right texture and tossed well with the chili sauce to give the dish a real boost in flavour. The char siew or roasted pork was acceptable, the accompanying soup was sweet and tasty though the wanton could have had more sole fish added to intensify the flavour. The pork cutlet was very well executed and the meat was battered and deep fried. The crumb coating was not too floury and maintained the juiciness and tenderness of the meat. 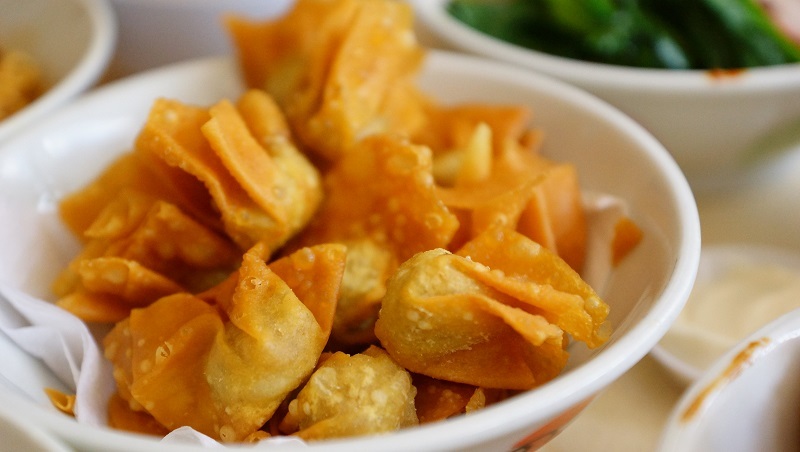 You will get a bowl of fried wanton. A full bowl, mind you, not the usual pathetic few pieces that you will get from other wanton stalls. Served with mayonnaise sauce, it may not be extremely delicious but definitely value for money. Feng Rong Wanton Noodle is truly lives up to its reputation as a cheap and good stall for its range of noodles. 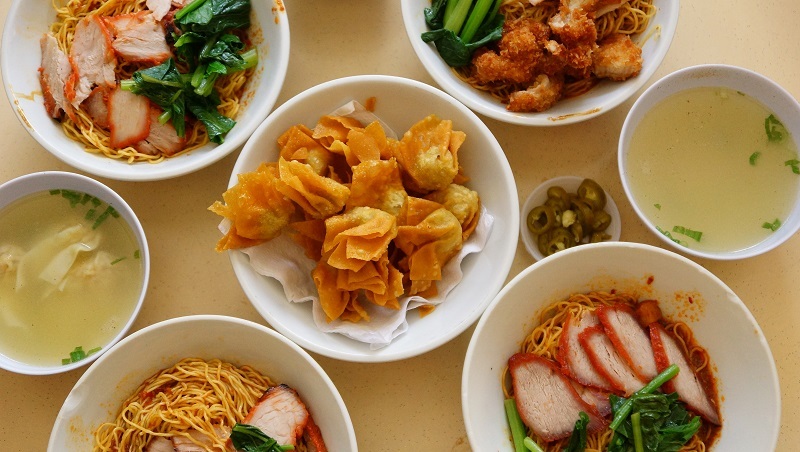 How often can you get a bowl of satisfactory wanton mee in this day and age for just $2.50? 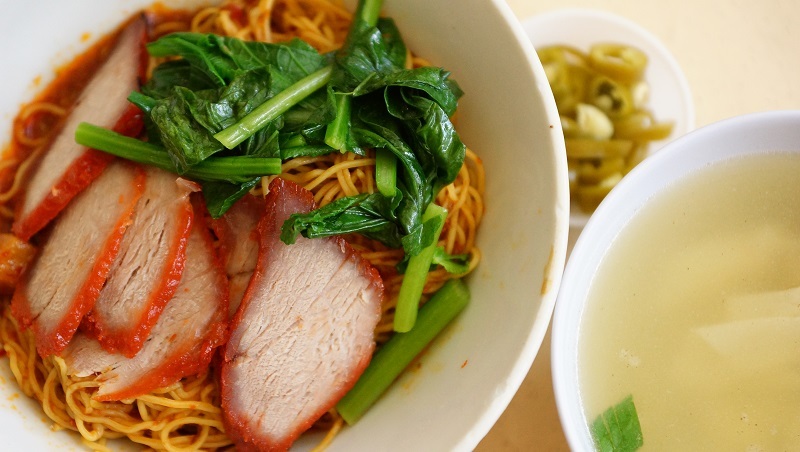 Note: It is understood that while Feng Rong Wanton Noodles continues to be operated by the same owners, the menu has since changed.